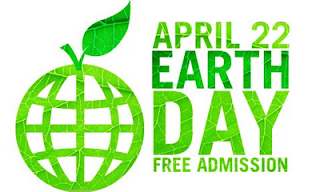 Celebrate Earth Day tomorrow April 22nd, by visiting Fairchild Tropical Botanic Garden for Free. Fairchild Tropical Botanic Garden in Coral Gables is offering free admission to everyone on Earthday from 9:30 AM to 4:30 PM. For more details and for special Earth Day programs visit the Fairchild Tropical Botanic Garden website. This is great offer, as regular admission price to enter the Fairchild Tropical Botanic Garden is usually $25 per adult a and $12 for children 6 - 17. Fairchild Tropical Botanic Garden also offers free admissoin on National Public Gardens Day, which is May 6th. On April 22nd only, you can also receive a special membership discount: Get 50% off for new members. Renewing members will receive 10% off. These special Earth Day offers are available by phone or in person. Valid only on April 22, 2011. Direcetions to Fairchild Tropical Botanic Garden. 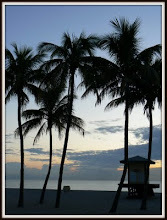 Take I-95 south to US 1 (S. Dixie Hwy.) Go south on US 1 to SW 42nd Ave. (LeJeune Rd.). Turn left on SW 42nd Ave., and drive south to roundabout. Enter roundabout and take 2nd right onto Old Cutler Rd. Drive 2 miles on Old Cutler Road. Fairchild entrance will be on your left. Alternate driving directions from the northI-95 South, State Road 836 West, LeJeune Road South, cross US 1 (S. Dixie Hwy). Continue on LeJeune Rd. to roundabout. Enter roundabout and take 2nd right onto Old Cutler Rd. 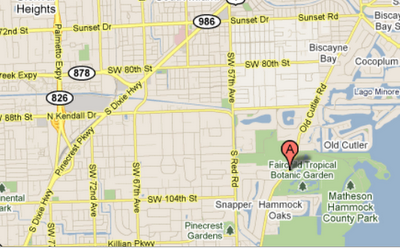 Fairchild is exactly two miles from the roundabout. Entrance will be on your left. Take US 1 (S. Dixie Hwy.) north to SW 152 Street (Coral Reef Drive). Turn right, heading east on 152 Street to Old Cutler Road. Turn left onto Old Cutler Road heading north. 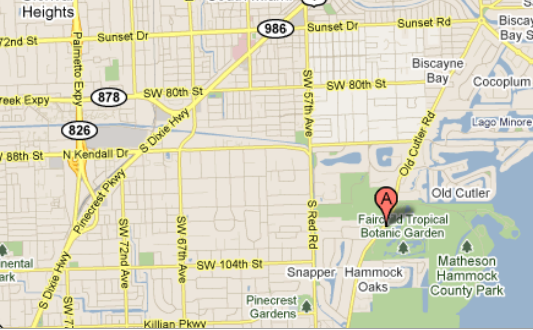 Drive past SW 120 Street and to the intersection of SW 57 Avenue (Red Rd.) and Old Cutler Road. Turn right on to Old Cutler Road and continue north for one mile. Fairchild entrance will be on your right. From northwest of MiamiTake highway I-75 to highway 826. Go south on 826 to Sunset Drive. Exit at Sunset Drive east, and drive east on Sunset to its end at a roundabout. Enter the roundabout and take your 1st right on to Old Cutler Road. You will see a sign for Fairchild Tropical Botanic Garden. Drive south two miles from the roundabout to Fairchild. The entrance will be on your left. Directions from the Fairchild Tropical Botanic Garden website.